On Tuesday 29th September, Show Racism the Red Card (SRtRC) held their first educational event of the 2015/16 season at the Stadium of Light, Sunderland. Over 100 young people from local primary schools attended the event which saw the Year 5/6’s take part in a carousel of workshops. Young people from West-Boldon, Willow Field and Northern Saints Primary school took part in three different workshops. Campaign Worker, James Kingett, from Show Racism the Red Card delivered a workshop which made young people explore stereotypes and think critically about the way in which we stereotype. Sunderland’s ‘Foundation of Light’ delivered a brilliant workshop named ‘Building Bridges’. The Building Bridges initiative looks at tackling crime and anti-social behaviour between young fans. 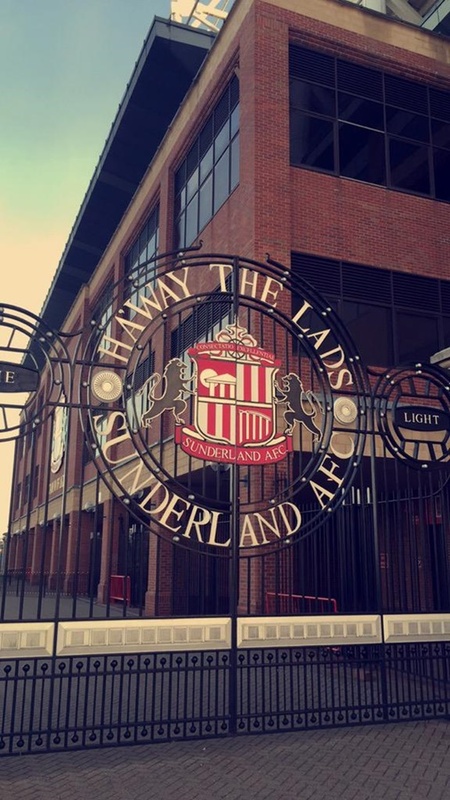 Launched in 2013 and backed by the Northumbria Police and Crime Commissioner Vera Baird, the programme engages young people from Wearside and Tyneside in a range of activities and workshops focusing on football-related rivalries between the two clubs. Ground tours were the third workshop on offer during the day which gave the young people a well-deserved stretch of the legs and a chance to view the 49,000 seat stadium. The young people got to enter both the home and away dressing, walk pitch side and sit in the manager’s chair on the side-line. After lunch the young people reflected on the workshops from the morning and spoke about the key issues which had been discussed. The young people then watched the SRtRC anti-racism educational film which provides an excellent introduction to the subject of racism. Throughout the day the young people had been asked to start thinking of questions that they would like to ask the panel of special guests at the end of the day. With suspicion building among the young people of who might be attending the Q&A it was time to introduce the panel. Ged Grebby, Chief Executive of SRtRC sat on the panel and was joined by Sunderland Legend Gary Bennett. Cartlon Fairweather, who now is the manager of Sunderland A.F.C Ladies joined the panel along with one of his players, Victoria Williams. Finally to complete the panel were Sunderland 1st team players Jack Rodwell and Jermain Defoe. Young people from each primary school put forward a variety of questions to the panel regarding racism. How did racism start? Can you suffer from racism at any age? Has anybody you know suffered from racism? Were just a few examples of the questions that the panel were taking it in turn to answer. The current and former players were recalling their experiences of racism on and off the pitch and explaining how it made them feel. A signed football which was generously donated by Sunderland A.F.C was given to Charlotte, a pupil from West-Boldon, for asking the best question on the day. Show Racism the Red Card would like to thank everyone at Sunderland A.F.C for their support in organising the event, a special thanks to Adam Capper, Stephen Colquhoun and Ed Cook. Thank you to Sunderland City Council who continously support the work of the campaign. The power of role-models to educate young people should never be underestimated, therefore, a massive thank you to Carlton Fairweather, Victoria Williams, Gary Bennett, Jack Rodwell and Jermain Defoe. And finally, Show Racism the Red Card would like to thank all the young people for their honest engagement from start to finish.